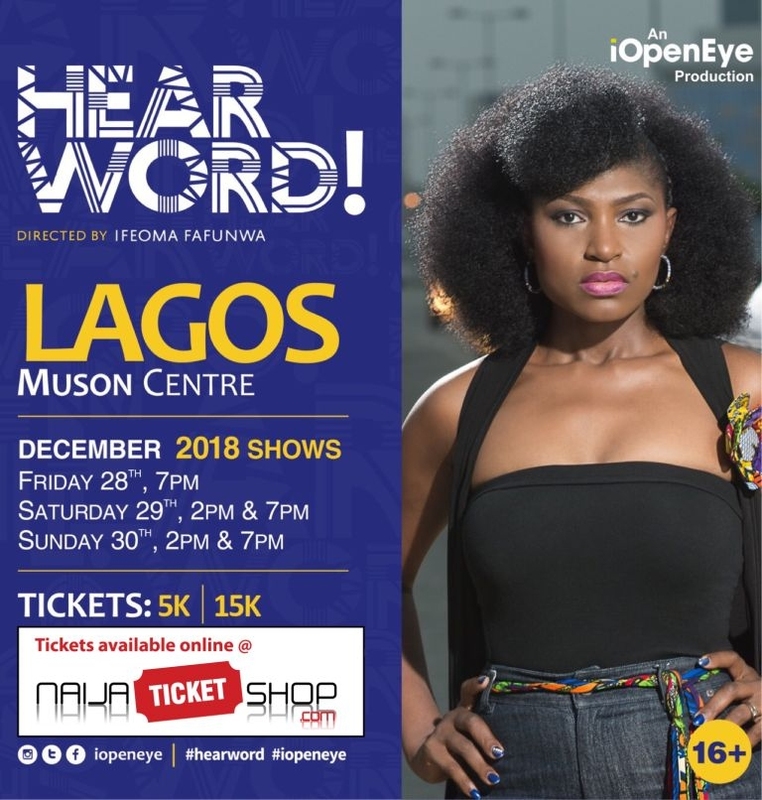 Click to enlarge IOpen Eye presents Hear Word! Naija Women Talk True! 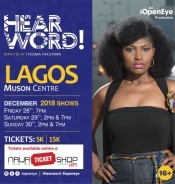 This arresting and honest stage play is a collection of true-life stories about Nigerian women, directed by the venerable theatre director, and founder of IOpenEye; Ifeoma Fafunwa. Tickets are sold online at www.naijaticketshop.com and also at Naija Ticket Shop Outlets located at: Silverbird Cinemas in Victoria Island and all Bukka Hut Restaurants in Lagos. Bullet Description: Naija Women Talk True!